Dalbeattie Appliance Centre offers a professional repair service for all makes of washing machine, tumble dryer, refrigerators, electric cookers*, micorowaves, dishwashers and vacuum cleaners and is the leading Dyson repair specialist in Dumfries and Galloway. With more than 36 years' experience in domestic appliance repair, Robert Kirk of Galloway Appliance Repairs / Dalbeattie Appliance Centre can generally fix your appliance at a fraction of the replacement cost and offers impartial advice, a fast local service with evening and weekend call-outs available and a 6-month warranty on all parts and repairs. Repair charges start from just £35.00 depending on postcode area, with all makes covered including AEG, Beko, Belling, Bosch, Candy, Creda, Diplomat, Dyson, Electrolux, Haire, Hoover, Hotpoint, Indesit, LG, NEFF, Panasonic, Proline, Samsung, Sharp, Tricity, Whirlpool and Zanussi. 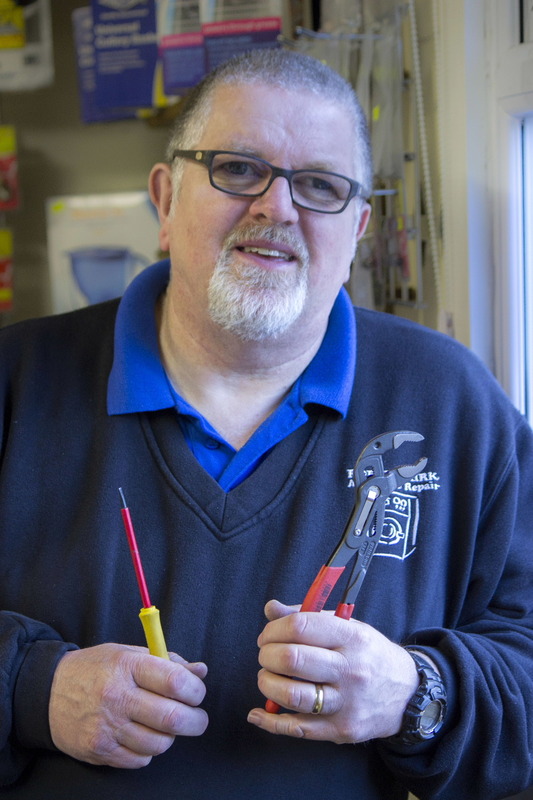 If you have a household appliance that needs fixing, call Robert today on 01556 288613 or on his mobile 07826 318999. *Please note that we are unable to repair or service gas appliances.